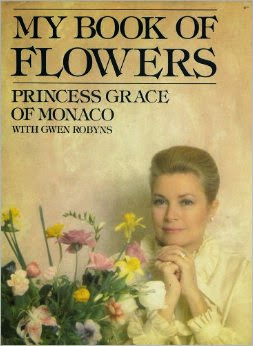 What a joy it was to discover this lovely book years ago written by Princess Grace of Monaco and Gwen Robyns. Published in 1980, this beautifully written and illustrated book which describes the flowers and plants of Monaco, as well as their floral history and legends, is one that goes perfectly with a cup of tea on a sunny -- or rainy -- afternoon. When I first discovered the book at the library, I knew I wanted my own copy, but I couldn't find it anywhere to buy (that was years before amazon). It became one of those books that I checked out of the library regularly... so much so it started to feel like it was mine after awhile. What I loved about it was that it gave me such a delightful glimpse of the Princess personally -- not just her as a movie star or royalty -- but of her deep love and appreciation for flowers and how she celebrated their beauty by creating lovely gardens for the people of Monoco. The book includes 'up close' photos of her working in her home on some of her famous pressed flower arrangements -- one I think became the design for a postage stamp. She'd go hunting for the right blossoms and then use old telephone books to press them. I think it must have been the discovery of this information that inspired me many years ago to take up flower pressing and turning them into greeting cards. Like the Princess we used piles of old phone books to store our delicate treasures. When I read what she said all those years ago, I knew in my heart that, even though Her Serene Highness lived in Monoco and little ole me lived in Canada, we were kindred spirits at heart. I've never looked at a flower the same way since. Alas, I still remember vividly that day when the news came that she'd died from a car crash. I still feel a pique of sadness all these years later. It was such a shame such a beautiful woman died in her prime of life -- which, of course, makes this book all the more treasured. I'm happy to report used copies are still available to purchase on amazon.com. Brenda, what a lovely book to share with us. We visited Monaco several years ago, and it was fun to imagine Princess Grace there in the palace overlooking the Mediterranean. Books like that are ones to treasure. There is always something new to discover. Princess Grace was such a lady. Thank you for sharing this post again. 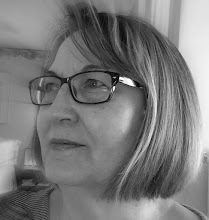 Do you know I have about 93 books on my Amazon wish list? haha! not because I'm going to buy them all, but whenever I get a recommendation I look it up and if it sounds good I just add it to the list! I'm sure once I look this book up, it will be added as number 94!! Princess Grace personified the word "lovely." Thanks for sharing the book. And that's what I did with the Little House books by Laura Ingalls Wilder when I was a child: I checked them out so often they might as well have been mine. 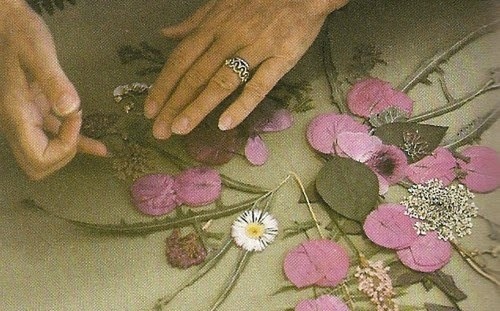 The art of flower pressing is something to passed on down. 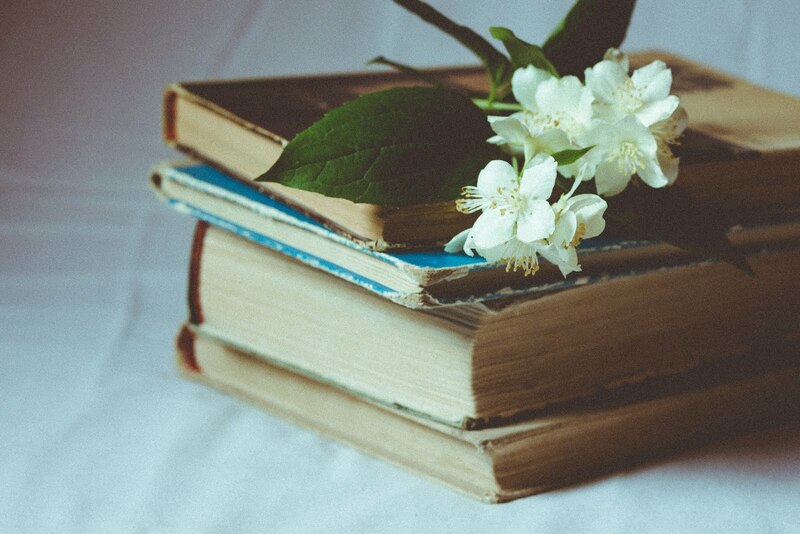 I have books full of small flowers that my grand daughter picked and we placed in those books. Soon, very soon, we will again look at those flowers. This a book I have to read!! 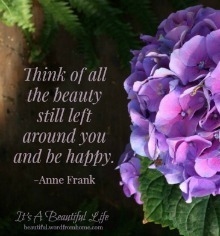 The quote is beautiful and will probably borrow it for her birthday card inscription. I admired her so much too. I'm so glad that the beauty of flowers meant so much to her. What a treasure this book would be.